Hunn Security Systems inspect, test and maintain fire alarm systems in accordance with the manufacturers recommendations and British Standards BS 5839-1:2013 & BS 5839-6:2013. WHY CARRY OUT FIRE ALARM MAINTENANCE? All fire systems must be regularly tested and maintenance is essential as it will prolong the life of a system and discover any faults that may occur. A system or device that is not maintained cannot be guaranteed to protect life and/or property. 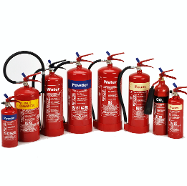 WHY CARRY OUT FIRE FIGHTING EQUIPMENT MAINTENANCE? All fire fighting equipment must be regularly maintained through routine annual maintenance this is essential as it will prolong the life of a equipment and ensure they operate correctly in the event that their use becomes required. A system or device that is not maintained cannot be guaranteed to operate when required. 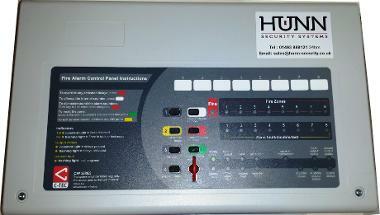 WHY USE HUNN SECURITY SYSTEMS? • Happy to work outside of ‘normal’ hours to ensure minimum disruption to business if required. • Advice in straight forward everyday language – without all the jargon.